For some people, life insurance policies represent the most significant asset that they will leave to their beneficiaries after the insured person dies. Even though the policy owner does not technically own the policy amount as his own property, he can control who is named as a beneficiary, and how the life insurance money will be distributed after his death. In most cases, people simply name a person as the beneficiary. However, in some situations, it may be better to name a trust as the beneficiary of a life insurance policy. One benefit of naming a trust as the beneficiary of a life insurance policy is that the trustee then has control of the money from the policy, and can control the distribution and investment of the money according to your wishes as the trust creator. In cases where the only beneficiary is a minor child, this option makes sense as it otherwise keeps the courts out of the management of the money on behalf of the minor child. Life insurance policies cannot generally be paid out to a minor. The kind of trust you have makes a big difference to the decision to name the trust as a beneficiary. Ordinarily, life insurance policies are not reachable by the deceased’s creditors because they are paid directly to, and belong to, the beneficiary. If you have a revocable trust, the terms of the trust may require the trustee to make payments to creditors from the trust before distributing trust assets to beneficiaries. This could mean that if a life insurance policy is paid to the trust, it would become part of the assets that are to be used to pay off debts. This is not a problem if you have an irrevocable trust. When a person names a trust as the beneficiary of a life insurance policy, and the policy does not yet exist, it is important to make sure that the trust will be in existence at the time of the person’s death. Some people prefer to form trusts through their wills or otherwise make the trust operative only upon their death. While a trust set up in this way would be sufficient to receive the proceeds of a life insurance policy, if the trust fails to become operational it could mean the life insurance policy proceeds do not go to the intended beneficiary under the trust. If you have a large estate that is worth more than five million dollars, naming a trust as a beneficiary of your estate could mean that those proceeds get taxed on the federal level. 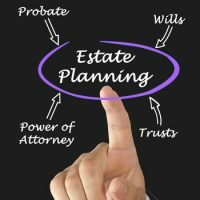 For this reason, it is important to discuss the pros and cons of this approach with a knowledgeable estate planning attorney. Estate planning is better when it is individualized to a person’s particular needs. Choosing what kind of trust to set up and what kind of assets to put in the trust can have major repercussions to your estate plan. For more information and for a consultation, contact our experienced estate planning attorneys at the Millhorn Elder Law Planning Group located in The Villages, Florida.